Dallas-based startup, Jurify, is taking on one of the most challenging markets for any new entrant – the legal information and research industry. The stakes are high, but the current market is old, expensive, and dominated by a few key players. Any company that is able to carve out even a modest amount of this multi-billion dollar business seeks to gain significant growth and value. So what is the problem with the current legal research market? The dominant players are truly intermediaries, gatekeepers, and rent-seekers, to a degree, of legal information that in its original form is free, such as legislation, court filings (in most cases), and government regulations. While this information may be free, it is challenging to find, capture, and organize due to the sheer volume and countless repositories – creating something the Supreme Court calls “practical obscurity.” The current companies make billions by charging handsomely for access to this information. Most people, including lawyers, do not even know where to look or what to look for most of the time when trying to find legal information. The current tools help in this regard, but can be clunky and technical, so most users have to become experts or power users just to be productive. To this point, many of the current companies keep armies of search technicians to help users find what they are looking for. This leads to restrictive and costly access to otherwise “free” information. Add to this cost the fact that lawyers generally bill for their research time, and the case for having a more efficient and fast tool becomes apparent. 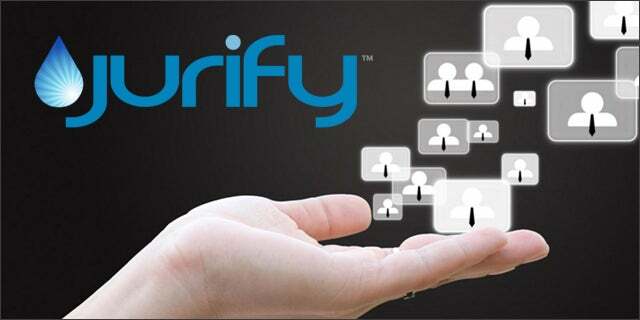 Jurify is also unique in that it scores and weights the content based on a dual approach of crowdsourced scoring as well as scoring by Jurify experts. “When we launch, we will have over 10,000 unique resources for corporate transactions law – every one personally reviewed by our founders,” said Lopez. Once launched, this scoring will be opened up to the users (crowd). This combined approach produces a rich platform where the most relevant and reliable information surfaces to the top of any search. Those familiar with Stackoverflow will appreciate this technique. Further differentiating Jurify is the manner in which it bases its search logic and taxonomy. The information is organized by topic tags and uses language and logic that follows how most people think – not how lawyers think. This yields a more user-friendly approach and helps in guiding the user, rather than relying on the user to drive the platform. The revenue model will be freemium-based. Premium subscriptions will offer analytics on who is reading the content (a valuable tool for the content providers) as well as access to a comprehensive forms and precedents library that will have been converted into Word format for easy downloading and editing. Initially, Jurify was focused on attracting the large law firms as users, but they were quickly reminded that the most valuable user will be company lawyers (in-house). If Jurify can get this crowd to use the platform, the law firms will be much more willing to embrace it, as they will want to be in front of their client base. Initially, Jurify is launching with a focus on corporate transactions, but it will expand rapidly to include other focus areas as well as more consumer-relevant topics. It is worth noting to the TechCocktail crowd that this also encompasses the JOBS Act. Once launched, users will be able to search for relevant information that may help explain the legislation itself, as well as the forthcoming rules. Worried that you've missed your chance to bag a Black Friday bargain? Fear not, for Cyber Monday is here, and that means yet more deals and discounts across key tech products. We round up some of the best Cyber Monday deals from TVs to laptops, tablets and VPN. Joshua Kubicki is a business designer for the legal markets and a seasoned entrepreneur and intrapreneur. He helps startups and companies focused on the legal markets create new business models and revenue streams. Follow him at @jkubicki.